After I finished high school, my parents sent me to Canada for an international cultural exchange program where I got to spend the whole summer in a small town called Guelph (near Toronto). I stayed with a host family, and became very close friends with their daughter Meagan. The next summer, she visited me in Istanbul, and we took her to our summer house which is located in Tenedos, one of the Greek-Turkish islands on the west coast of Turkey. My mom prepared a typical famous Turkish breakfastwith all the fresh produce she picked up from our garden, while my dad was spearfishing to catch some bluefish for dinner. When Meagan saw the table, she couldn’t hide her astonishment by how much we eat at breakfast. Then she grabbed a bite of a plump tomato, and amazedly murmured: “I didn’t know that real tomatoes actually taste like this!”. Growing up in Turkey, I was very spoiled in terms of my food. 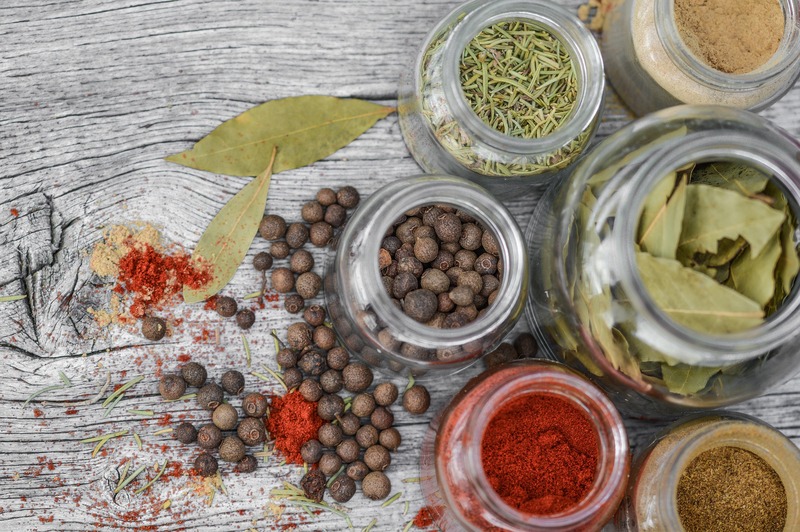 Seasonal fruits and vegetables, fresh herbs, organic legumes, and assorted table wines were essentials of our pantry. Wild-caught fish was served at least three days a week with a drizzle of the highest quality extra-virgin olive oil. My family grew some of our own food, but we also had access to good quality fresh food at local markets. 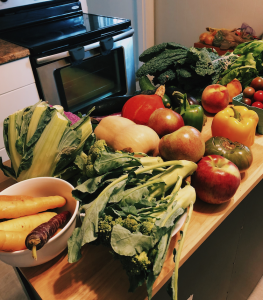 Dealing with the differences in food culture was one of the biggest challenges I faced when moving to the U.S. for graduate school; not only the kind of food consumed, but also the way it is packaged and sold at supermarkets. Graduate student life is very busy and demanding, and unhealthy habits can make our lives more difficult and stressful. Nourishing our bodies is as important as having a good night sleep and regular exercise. Understanding nutrition and healthy eating is more common these days, but for some people it can still be difficult to know where to start making changes to improve their health and feel better about what they eat. First of all, EAT YOUR VEGGIES! 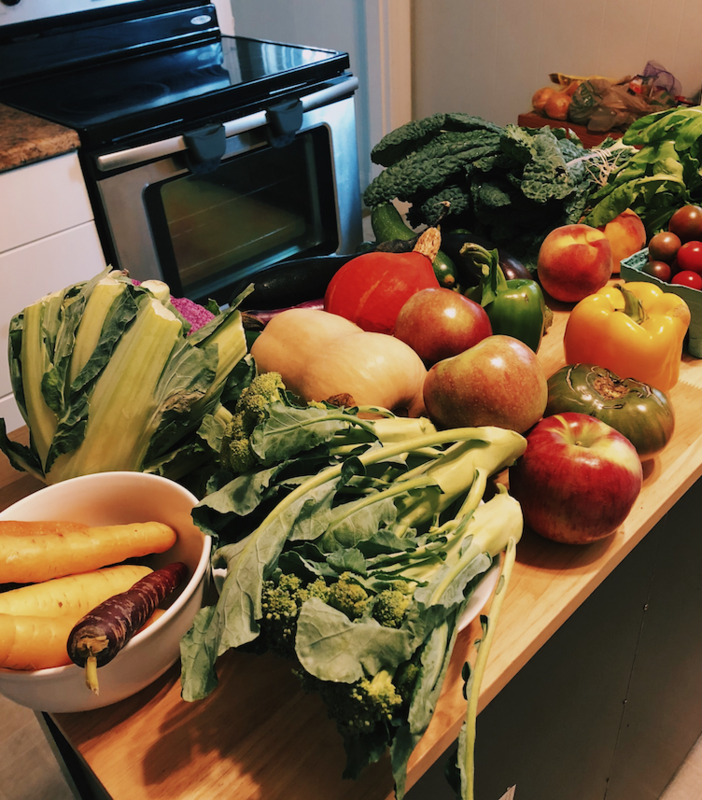 Here is an example of my weekly vegetable shopping from the farmer’s market. In addition to all the minerals, vitamins, and phytochemicals necessary for your body to fully function, vegetables are also packed with fiber, which affect your overall health starting from your gut microbiome to all the way up to your cognitive abilities. 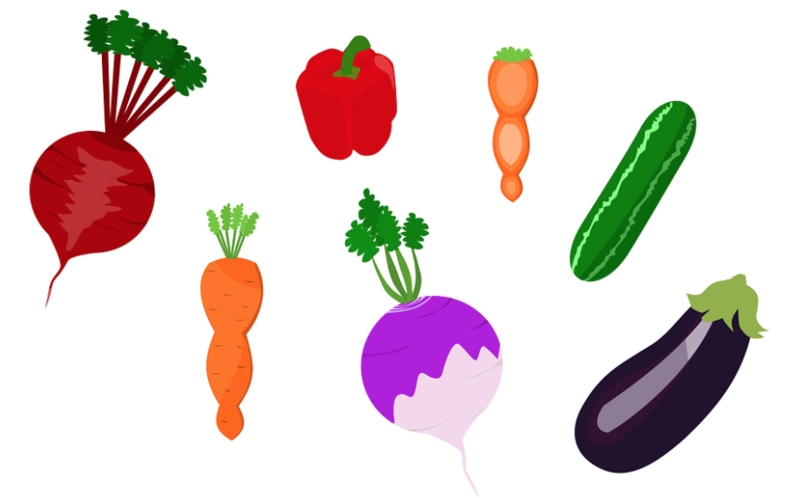 A great way to introduce more vegetables into your diet is to go seasonal—do some research online about what produce is in season for your location, or visit a local farmer’s market and see what’s available. Choosing fresh, local vegetables is also preferable to pre-cut, imported vegetables from the supermarket because pre-cut vegetables are more prone to bacteria and can lose their nutritional value when cut. Many packages also contain preservatives to keep them fresh; chlorine and ozone are sprayed on the vegetables to delay spoilage. Try to buy whole fruits and vegetables, and wash and cut them right before you will eat them; the difference in taste is impossible to ignore. Another good way to get more healthy foods into your diet is to eat more high-quality proteins. Lean protein sources such as chicken breast have always been a “go-to” meal for me. However, considering how common the use of antibiotics in chicken farming is in the US, it could be a better idea to switch to turkey, which is a safer option in terms of additives. Turkey is also a great source of the amino acid called tryptophan, which is known to aid in quality sleep. Can you say no to a better night sleep as a graduate student? I thought so. If you don’t eat meat, you can add lentils and tofu to your diet for more protein. When it comes to sleep quality, another thing you should be mindful about is the time at which you sip your coffee and how much you consume in a day. Coffee is the elixir of life for us graduate students, but it can take up to eight hours to be metabolized. So, if you go to sleep at 11:00 pm and want to wake up the day feeling well-rested, try to avoid drinking coffee after 3:00 pm, and aim to not exceed 400 mg of caffeine per day. It is also noteworthy that consuming coffee right after your meals significantly decreases the absorption of some minerals and vitamins in your food, such as iron. Lastly, I would like to talk about meal-preps. I looooove meal-prepping! As a chemical engineer, I have this an obsession with knowing what exactly is in each of my meals. With a little preparation, you can bring your own food to campus and know that you have made something delicious and healthy (not to mention cost-efficient)! Health doesn’t just start and end with food. The containers you use to carry your food to campus can also be unhealthy. Many common plastic containers are a main source of “obesogens” called “endocrine disruptors,” and they tend to release into your food when they are in contact with fatty acids. Glass containers are a much safer option to avoid those chemicals. If you would like to learn more about how those chemicals affect our bodies and how serious they are, I recommend the Swedish documentary Submission (2010) by Stefan Jarl. With a few simple changes, it is possible to eat healthier! Keep things balanced and stick to real food. You can also visit Tufts Sustainability and learn more about healthy eating on campus. With these tips, I hope you can take your healthy eating goals and upgrade them to a new level. This entry was posted in Around Tufts, Dining, Student Life, Tips and Tricks, Uncategorized and tagged Boston, Community, food, Graduate School, Graduate School of Arts and Sciences, Graduate Student, healthy, healthy eating, nutrition, School of Engineering, SMFA, Student Life, sustainability, Tips and Tricks, vegetables on February 13, 2019 by Courtney Cyr. Anyone who as ever worked on an application, whether for a job, school, or scholarship, knows the mixed feelings that come along with it. On the one hand, you are excited to put your best foot forward and show the people who are reviewing your application the awesome person you are. On the other hand, there is the nervousness that comes with putting yourself in what may seem like a vulnerable position. Will they like me? Am I what they are looking for? How will I ever manage to get everything I need to do done for this application? 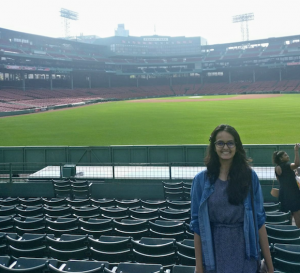 For those who are considering applying to a graduate program at Tufts, or anywhere else for that matter, here are a few tips and tricks I found useful when completing my applications. Unlike applying for undergraduate programs where useful tools like the Common Application serve to guide you through a seemingly endless number of questions, requirements, and deadlines, applications for graduate programs mostly stand on their own. As a result, you will likely find yourself having to make separate application accounts for each of the schools to which you are applying and contending with a variety of different requirements that can quickly become difficult to keep track of. To stay on top of applications and deadlines, I found it helpful to make a list of each program I was applying to, the application deadline, and the various steps I needed to complete before I could submit it (completing writing samples, letters of recommendation, transcripts, etc.). As I completed steps in the process, it felt rewarding to be able to cross items off before moving on to the next one. Other systems might work better for different people. However, as long as you have some sort of system to organize what you need to do on time, that’s what’s important! Requesting letters of recommendation from professors or supervisors you have worked with is perhaps one of the most stressful parts of the application process because it is the one you have the least amount of control over completing. However, you can make things a lot easier on yourself and the person writing a recommendation for you by identifying recommenders who can best speak to your skills and requesting their assistance as soon as possible. 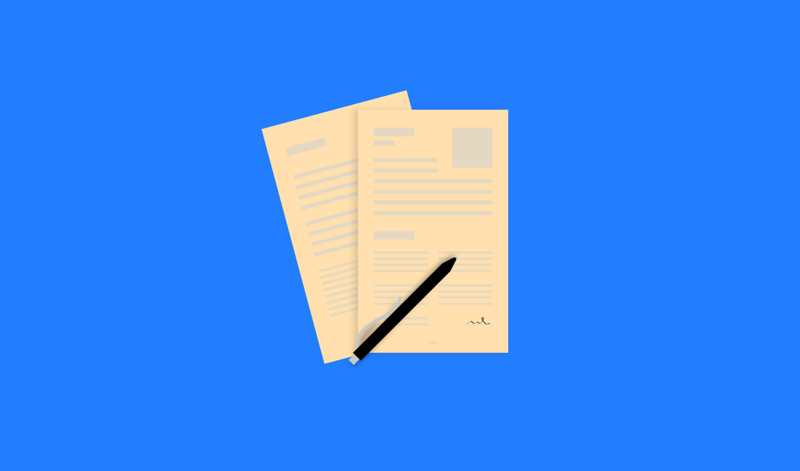 Typically, a month or so should be the minimum amount of notice you give when requesting a letter of recommendation. In addition to simply being considerate of your recommender’s time, it also ensures that you have time to find another person to ask should a prospective recommender reject your request for whatever reason. Being clear in providing your recommenders with deadlines for each of your applications and any additional information that might help them write their letter (such as your resume or CV) can also make the process easier for you both. If you are considering applying to a graduate program, you are probably already pretty passionate about the field you want to spend your time studying in depth. However, you will likely find it useful to start thinking about what your specific area of focus within that field might be. Of course, there is no expectation that you will concretely decide exactly what you will be studying and how you will be studying it before you have even been accepted into a program. However, many programs request that you provide a bit of information about a potential area of focus in your application. Some may also ask you to identify a professor or two in the department who you think would best serve as an advisor to you based on similar research interests. Having at least begun to think about your focus can also help you to narrow down specific programs that might be best for you to spend your time applying to and will only serve to benefit you once you are accepted to a program and begin your studies. 4. Be yourself and don’t stress! This is something I always make sure to emphasize. 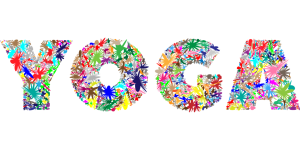 Many people seem to think that admissions committees are only looking for very specific things when making an admissions decision and that they need to somehow embellish their application in order to appeal to exactly what the committee is looking for. Of course, sell yourself as the awesome applicant you are, but at the same make sure to be yourself! Though the people reading applications are certainly looking for good students who will positively contribute to their community, this is all relative to the individual applicant and program. There isn’t a specific personal statement topic or GRE score that will automatically guarantee that you will be admitted, so why add extra stress to what is already a stressful process? That being said, make sure to put your best foot forward! Double and triple check your personal statement and maybe ask a friend to read it over too. Set aside some time to study and take some practice GRE tests. But remember, each item is just one part of your overall application. 5. Questions? Don’t Be Afraid to Ask! There are so many aspects of applying to grad school that simply cannot be covered in a few quick “tips and tricks”, especially in regard to the specifics of each graduate program’s individual requirements. As a result, if you ever find yourself confused about application requirements or have other questions about applying to programs at Tufts, you should not hesitate to reach out to one of the wonderful staff members in the Office of Graduate Admissions via email at gradadmissions@tufts.edu or telephone at (617) 627-3395. You can also reach out to the department you are applying to directly using the contact information on their website. This entry was posted in Tips and Tricks, Uncategorized and tagged admission process, Admissions, Advice, application, grad school, Graduate application, Graduate School of Arts and Sciences, recommendations, requirements, School of Engineering, SMFA, stress, Tips and Tricks on February 6, 2019 by Courtney Cyr. Every year I start the semester with full motivation and control over my tasks. I have the perfect agenda in hand, dozens of pens with different colors for each activity, a bunch of folders which I categorize for each assignment, and post-its all over my desk. However, as we approach the middle of the semester, things get overwhelming, I stress out, and lose my interest in my to-do list. I’ve been studying for almost 20 years, so I’m pretty familiar with this pattern. We need to be productive to succeed, but our brains need a break, and those breaks should be planned strategically. 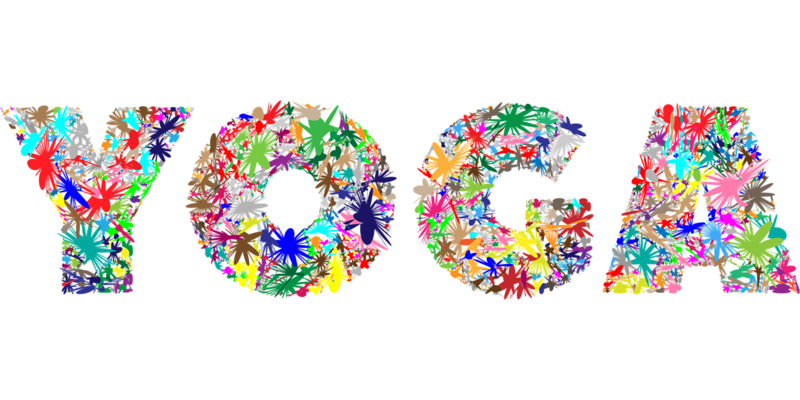 Practicing yoga is a perfect way to reset your mind and get back on track when you’re feeling stressed or unmotivated. The main idea of a yoga practice is to challenge the body with asanas (poses) that force us to concentrate on what is going on with our body, and keep our minds from wandering. At the end of the sequence, we feel more relaxed, balanced, and motivated for the rest of the day. Here is a 30-minute all-levels yoga sequence which I specifically designed for improving concentration and decreasing the effects of stress on our bodies. Feel free to repeat between study sessions, before starting the day, or whenever you feel like you can use a break. You can make it more challenging by staying longer in the poses or repeating the sequence more than one time. 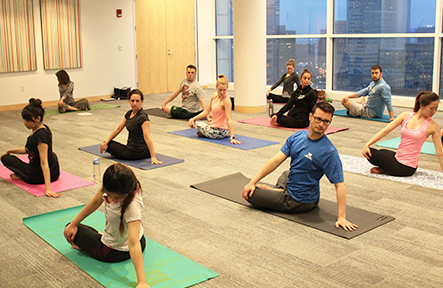 Yoga mats can be purchased online or at large stores, and you can also use them at the Tufts gym. Start with Child’s Pose – Balasana. On your hands and knees, focus on your breath, and turn your awareness inward. Your chest will rest on top of your thighs. Support your torso with your knees, and your forehead on your mat, or on a pillow. That helps you feel grounded. Stay in the pose until your inhaling and exhaling are synchronized, and roll back up on your knees. Avoid the pose if you have knee injuries. This pose calms the brain and because of the feeling of grounding, acts as a therapeutic posture to relieve stress. Continue with a standing forward fold, Uttanasana. Stand up and bend your knees generously until your upper body lies on your thighs. Let your arms and head hang and press the heels firmly into the floor. Hands can be either on the floor or catch the opposite elbow. Forward falls increase the blood flow through brain, release the tension on neck and shoulders, and the feeling of “letting it go” has a restorative effect on body. Move into a low lunge, Anjaneyasana. Step your right foot to the back of your mat and lower your knee on the floor. Bend your left knee and align it over the heel. Draw your tailbone down, lift your chest up to the ceiling, take your head back to look up, and raise your hands. Keep your shoulders away from your ears. As you inhale reach up, and as you exhale lower your hips to stretch hip flexors. Stay for a few long breath cycles and repeat with the other foot in front. The psoas muscle, the deepest muscle in our core, is one of the most vital muscles in our body. It is located in the lower lumbar area of the spine, extends through pelvis and connects upper and lower body with each other. Anjaneyasana specifically targets hip flexors and psoas, stretches them and helps you relieve stress, as well as opens your chest to boost confidence and enhance your mood. Now approach your wide-legged standing forward bend, Prasarita Padottanasana. Go back to standing, face towards the long edge of your mat and step one leg to the other side of the mat with your legs wide apart. Make sure your outer feet are parallel to the short edge of your mat (a slight internal rotation of feet is recommended). Inhale and lengthen your spine, lift your chest, and bend forward on your exhale. Engage thigh muscles and make sure your weight is on the balls of your feet. You can interlace your fingers behind you and if it does not feel intense enough, bring your hands over your head. This pose relieves tension on your shoulders and targets the piriformis muscle, a tiny muscle located in the deep buttock, near the sciatica nerve. Contracted piriformis can create tension on shoulders and is very difficult to target. Find your tree pose, Vrksasana. Find your way back to standing. Face towards to the short edge of your mat. Lift your left leg and hug your left knee. Bring the sole of your left foot to either the inside of your right thigh or calf, making sure it does not rest on your kneecap. Stay here for a few breaths. Keeping the eyes will closed makes thing even more challenging. If you are comfortable with your balance, send your left leg back and bring it parallel to the floor by pushing your heels to the back of the room. Hinge forward, level your hips, stretch your arms palms facing each other in warrior III, Virabhadra. Stay here for 30 seconds to one minute. Repeat with the other leg. Balance poses makes you focus on one point and prevents your mind from wondering. Find a comfortable seated position for eagle arms pose, Garudasana. Bend your elbows and bring forearms together in front of your chest. If possible, cross your left arm underneath the right. Draw your shoulder blades away from each other and broaden your chest. Level your elbows with your eyes and keep your hands away from your face. Bend forward if you can. Repeat with the other arm on top. This pose is a great way to release tension on shoulders and relax the neck. Before finishing your practice, take a moment at supported fish pose, Matsyasana. Use two yoga blocks or a pillow to support your shoulder blades and back of your head as you lie down. Slowly lower back on your props and relax your face, throat, and jaw. Matsyasanais a very effective chest opener to boost confidence. If it is supported, feeling of grounding has a therapeutic effect on body. Seal your practice by laying on your mat and embracing the effects of your poses. Observe where your mind goes and try to bring your awareness inwards. Focus on your breath, and appreciate the fact that you were able to practice today. This entry was posted in Around Tufts, Athletics and Fitness, Student Life, Tips and Tricks and tagged athletics, breathe, calm, Graduate School of Arts and Sciences, gym, mind, School of Engineering, SMFA, stress, stress relief, Tufts, workout, yoga on January 2, 2019 by Courtney Cyr. This is a personal story, but I am no longer ashamed to discuss it. If someone had asked me a year ago about how much attention I paid to my mental well being, I would have scoffed and told them that mental health is a ‘notion’ that doesn’t affect me. But once I got to grad school, my whole perspective on mental health changed. Once the exciting ‘moved to a new country / I am an adult’ phase died down and grad school began to ramp up, things got harder. The stress of schoolwork, my new responsibilities, making new friends, and missing my loved ones back home — it all took a toll on me. I did not know what the feeling was exactly, or what the cause was, but I knew something was not right. At first, I didn’t want to acknowledge my feelings. I pushed almost everyone away just because I saw them galavanting and enjoying life on social media. I felt so isolated; avoiding talking about how I felt because then I would have to face the reality of my situation. After struggling alone, it took a lot of courage for me to go ahead and book an appointment with the Tufts Counseling and Mental Health Services. I started working with a counselor about my struggles, meeting expectations, a bad living situation, a project not taking off, racial microaggressions I faced, and anything else you could imagine. The last week of December, I remember my counselor telling me that I was suffering from depression and anxiety. I remember walking out of the center and crying inconsolably: it was my nightmare come true. But far from being a nightmare, working with my counselor has been extremely helpful for my mental health and well being. I still go to therapy for my depression and anxiety, and there have been days when everything feels bad and I experience sadness on a consistent basis. But even when your body aches and you don’t feel like stepping out of bed, remember that it gets better—and I would know. It took me time to realize that many students go through the same thing I do, but it can be much harder for grad students to talk about their mental health because we are expected to be “adults” on campus. I think the first important step that helped me was talking to my family and friends about how I was feeling. You would be surprised how many friends of mine were going through the same thing, on and off campus. Many of us were afraid of being judged, but I found that I got more support from my friends than I was expecting. One major resource on campus that helped me is Tufts Counseling and Mental Health Services. If you have paid the Tufts Health Fee, please do not hold back from visiting a counselor. They are trained, experienced professionals who are here to help you. 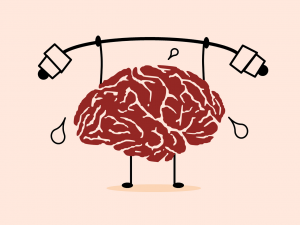 If you have a mental health emergency, or if you are looking for a certain kind of support, Tufts Counseling and Mental Health Services can help. If you feel that going and meeting someone in person is intimidating, you can use ‘BetterHelp’ and ‘iHope,’ both of which are valuable Telehealth counseling services. BetterHelp is covered by the Tufts student insurance plan, while iHope requires a copay. Tufts also has a wonderful service in the form of ‘Tufts Ears for Peers’ which is an anonymous, confidential helpline for Tufts students and is open from 7pm to 7am every day. There are also many daily activities that can help with regular mental health support. 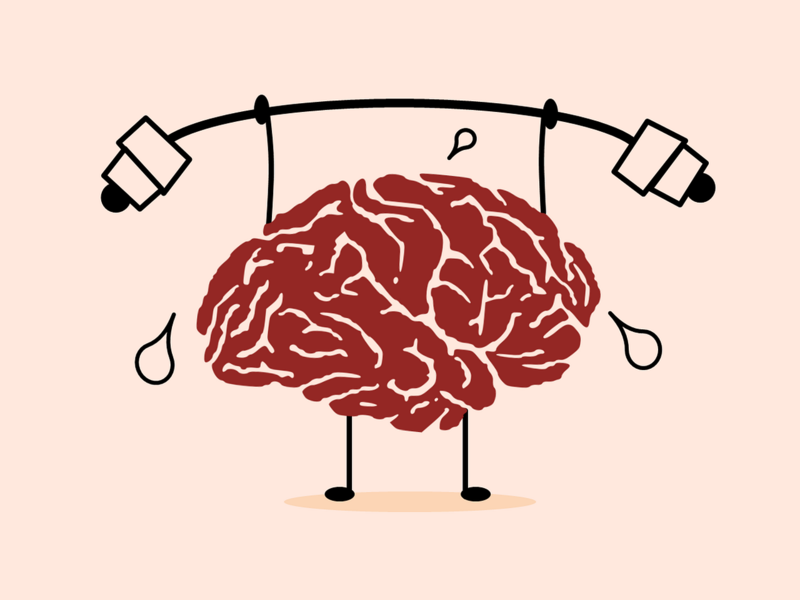 You can also download apps such as ‘Headspace’, ‘Fabulous,’ and ‘Youper’ which force you to do regular emotional check-ins. Mindfulness meditation has been shown to control anxiety and panic attacks — just breathing in and breathing out with constant awareness can be a powerful tool. Pick up a new hobby, or an activity which you have put off for a long time. Get enough sleep and maintain a good diet. Start practicing ‘gratitude journaling’, and write down your negative thoughts. Let it out of your system. But most importantly, let yourself feel the way you do. Many of us bottle up our emotions and feelings because we fear of being perceived as weak. Sometimes, all you need is an ear to listen to you, and a shoulder to lean on. No one has it easy in life, and some of us find it harder to cope than others. But remember to remind yourself that ‘after a hurricane, comes a rainbow’. 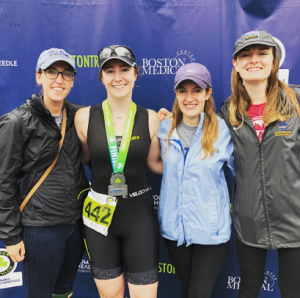 This entry was posted in Around Tufts, Clubs and Community, Student Life, Tips and Tricks and tagged anxiety, campus resources, counseling, Graduate School, Graduate School of Arts and Sciences, Mental Health, School of Engineering, SMFA on December 19, 2018 by Courtney Cyr. It is no secret that Boston is home to a wide array of museums and historic sites that play an important role in both entertaining and educating hundreds of visitors annually, while simultaneously preserving some of the most important aspects of local history and culture. Some, like the Museum of Fine Arts, the Old North Church, and the USS Constitution, are so iconic that you can hardly say you have been to Boston without visiting them. However, the greater Boston area is also home to a number of “underrated” museums that play just as important a role in the communities they serve, despite their relative lack of widespread fame. As someone who is (perhaps overly) enthusiastic about museums and the stories they tell, I am always looking for new places to visit and have thus had the opportunity to explore many of these often-overlooked sites. Not only have they proven to be incredibly informative and engaging, I have often found many of them to be even more impressive than some of their larger counterparts. Though difficult, I have picked out a few of my favorites to highlight just how varied and impressive some of these “underrated” museums can be. I hope that they will help to provide some inspiration for your own future adventures around Tufts and prove to be just as enjoyable for you as they were for me! Situated just across the street from the popular Harvard Museum of Natural History and the Peabody Museum of Archaeology and Ethnology, the Harvard Semitic Museum’s collection contains more than 40,000 objects from the Near East, including Egypt, Iraq, Israel, Jordan, Syria, and Tunisia. Visitors can view Egyptian canopic jars, mummies, Mesopotamian art, reconstructions of ancient Israeli homes, and much more for free! Located within the Christian Science Center in the Back Bay, the Mary Baker Eddy Library is a research library, museum, and repository for the papers of the founder of The Church of Christ, Scientist. However, perhaps the most iconic exhibit housed within the museum is the stunning “Mapparium,” a three-story stained glass globe. Visitors can walk through the center of the globe on a 30-foot long bridge and view the world as it appeared in 1935. Want to learn more about the history of medicine in the United States? What better place to do it than at the Russell Museum located on the Boston campus of Massachusetts General Hospital (MGH)! In addition to viewing historic surgical instruments and engaging with interactive displays, make sure to check out the Ether Dome located within the hospital itself where the first successful public surgery using ether as an anesthetic was performed. Nearly everyone who visits Boston spends at least part of their visit walking the Freedom Trail. But did you know there’s a second historic walking trail downtown focusing on a different aspect of the “fight for freedom” in the United States? 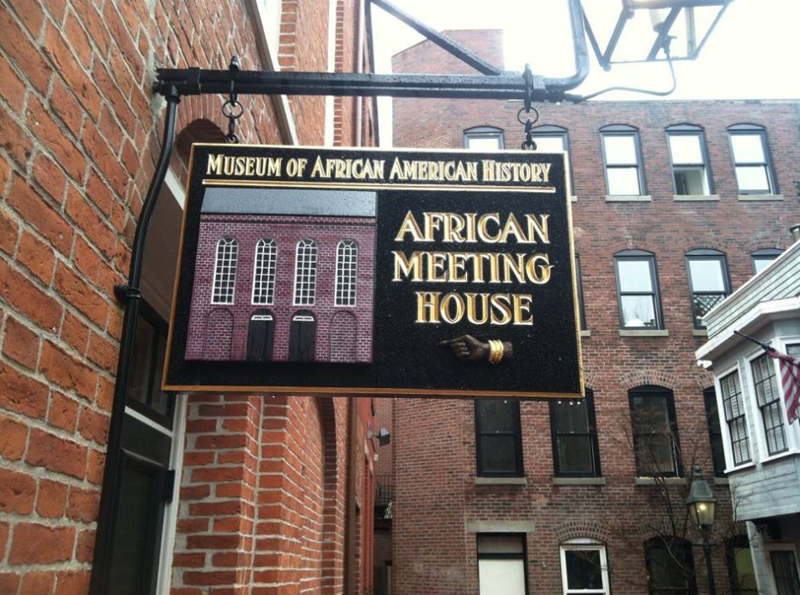 Boston’s Black Heritage Trail takes visitors through the streets of Beacon Hill to view the homes of prominent abolitionists, stops on the Underground Railway, and more. 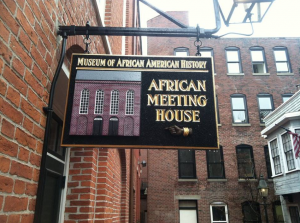 At the end of the trail is the African Meeting House, the oldest black church in the United States, and the Museum of African American History featuring rotating exhibits on the African American community in Boston. Home to the third-largest Armenian population in the United States, the Boston suburb of Watertown is also home to perhaps one of my favorite museums, the Armenian Museum of America. Featuring exhibits on the rich history and culture of Armenia and Armenian-Americans, visitors can learn about everything from ancient metalwork and textiles to the 1916 Armenian genocide. The museum is also actively engaged in programming for the community by featuring regular concerts, art programs, and lectures. 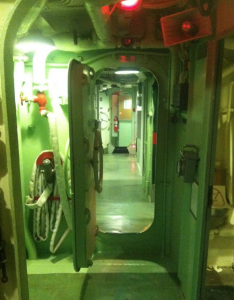 Berthed in the shadow of the famous USS Constitution, the oldest actively commissioned naval vessel in the world, the USS Cassin Young (DD-793) is a unique museum tasked with preserving a different era of United States naval history. Named for Captain Cassin Young, a Medal of Honor recipient for his actions during the Japanese attack on Pearl Harbor, the USS Cassin Young was commissioned in 1943 and served in both World War II and the Korean War before it was decommissioned in 1960. 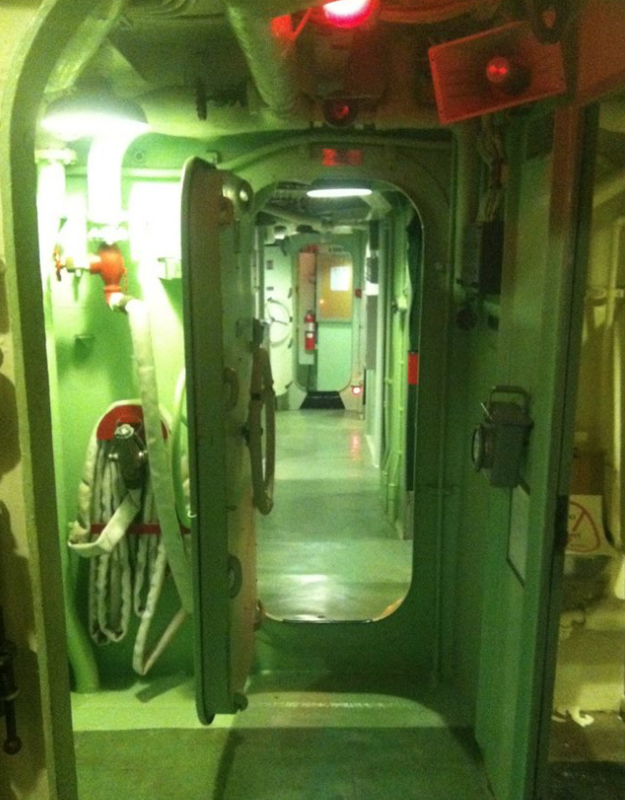 Today, the museum is run by the National Park Service and allows visitors to catch a glimpse of life onboard a more modern naval vessel. Originally a synagogue built in 1919 by Jewish immigrants from Lithuania who settled on Beacon Hill, the Vilna Shul has been an important center for Jewish culture for nearly a century. Today, it is the oldest Jewish building in Boston and continues to serve in its role as a cultural and community center, in addition to being a museum featuring exhibits focused on the history of the Jewish community in Boston and a historic building itself. 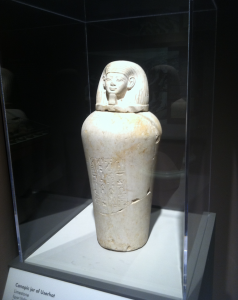 This entry was posted in Around Tufts, Diversity, Student Life, Tips and Tricks and tagged Boston, Graduate School, Graduate School of Arts and Sciences, heritage, history, mummy, museum studies, museums, National Park Service, School of Engineering, SMFA, underrated on December 12, 2018 by Courtney Cyr. 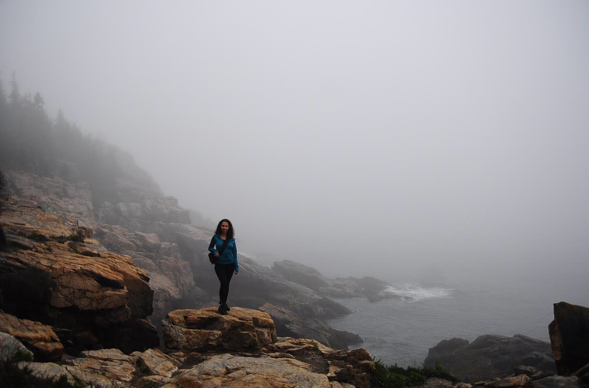 Escaping Campus: The 5 best day trips from Tufts! Do you find yourself feeling tired? Stressed? Overwhelmed? Do you feel the need to run away from your responsibilities? For a day? A whole weekend? Well, have no fear. 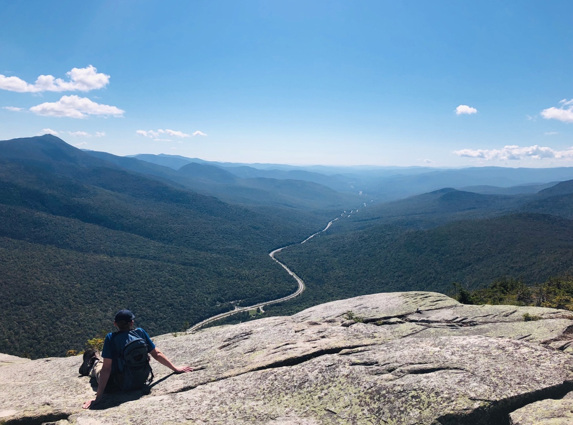 There are plenty of places to visit outside of Boston that will leave you feeling relaxed and refreshed—ready for any of the obstacles that grad school decides to throw at you. 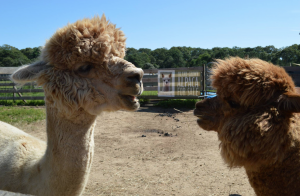 Check out my top 5 day trips from Medford below! Rockport is next on my list, due it its classic New England beach-town charm. 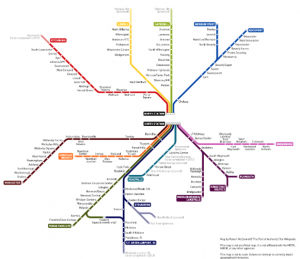 Like Concord, you can grab the commuter rail from North Station all the way to Rockport. The smell of salt water and the sounds of crashing waves will greet you upon arrival. I could (and have) spend the entire day traipsing around Rockport Center. There are a ton of boutique shops to browse in, numerous seafood restaurants to choose from, and countless art galleries to get lost in. While there, make sure to spend some time on the warm, sandy beaches with a cup (or a cone!) of homemade ice cream from The Ice Cream Store. Fun fact: part of the movie The Proposal with Sandra Bullock was filmed in Rockport. Can you figure out which scene while you’re there? I’m grouping these next two together because I love them equally. To get to Provincetown, grab a ferry from Boston Harbor. While drifting out to sea, get ready for a day of frivolity, fun, and entertainment. Perhaps best known for its colorful nightlife, Provincetown offers an abundance of fun daytime activities as well. Like Rockport, Provincetown is awash with cute shops, unique restaurants, and beautiful beaches. 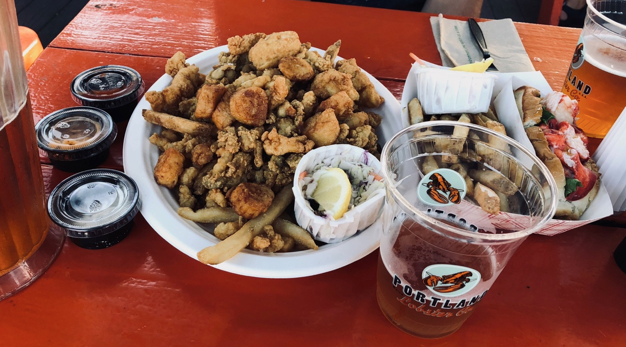 If you head to Provincetown early enough, make sure to hit up Victor’s Restaurant for drag brunch—you will not be disappointed. To get to Martha’s Vineyard from Medford, take a bus from South Station to Woods Hole, and then hop on a ferry to the island. While everything here is a bit more expensive, the scenery is worth the added cost. Beautiful beach houses adorn the coastline, with crystal clear blue waters appearing almost endless in the distance. A must-do while at the vineyard is to walk around and take pictures of the infamous “gingerbread houses.” When done, take the bus or bike on over (the island is very bike-friendly) to the island’s Alpaca Farm, Island Alpaca Company, and make a new, fuzzy friend! Maybe I’m biased because I went to undergrad in Western Massachusetts, but the Berkshires are my absolute favorite day trip from the Boston area. To get there, take a Peter Pan bus from South Station to Northampton. When you arrive, take a deep breath in: clean, crisp, mountain air abounds! Known for its “hipster vibe”, Northampton boasts more vegetarian and vegan-friendly dining options than I ever thought imaginable. For all of you meat lovers out there, there is also El Caminito Steakhouse which boasts Argentinian cuisine and on occasion, amazing live music. 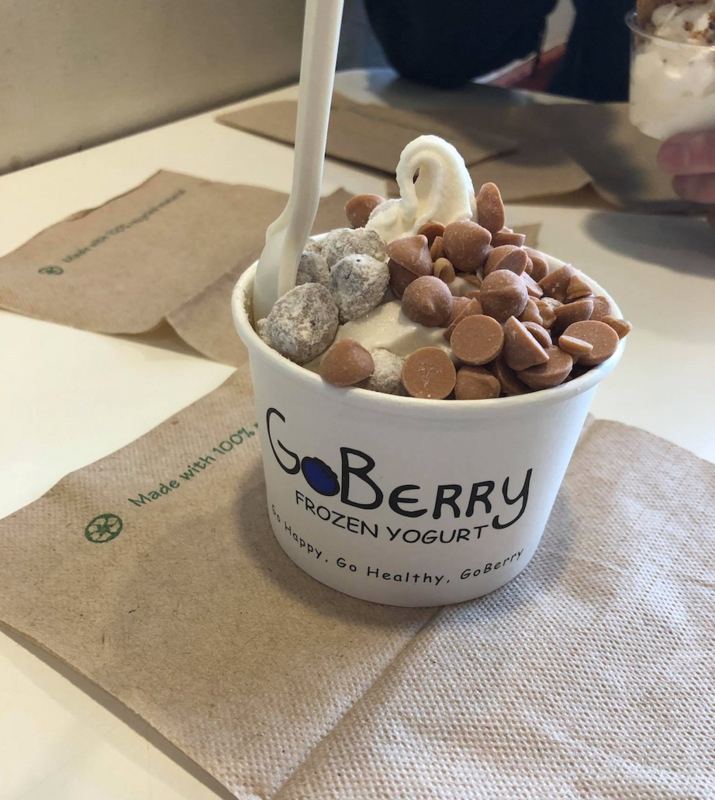 After lunch, head over to GoBerry—literally the best frozen yogurt you will ever have. I repeat—THE BEST FROYO EVER. GoBerry uses locally sourced dairy and ingredients from farms in the surrounding area, and the freshness is clear in its taste. Walk around the NoHo (Northampton lingo) town center and check out the numerous boutiques and art galleries. If you’re feeling adventurous, rent a ZipCar and head to Mt. Tom for a scenic mountain hike. This entry was posted in Around Tufts, Student Life, Summer, Tips and Tricks and tagged alpaca, beach, Berkshires, Boston, coastline, Concord, day trips, ferry, froyo, Graduate School, Graduate School of Arts and Sciences, Martha's Vineyard, Provincetown, Rockport, School of Engineering, SMFA, train on December 6, 2018 by Courtney Cyr. One of my favorite things about living in the greater Boston area is all the incredible opportunities there are to be active in the city. It’s no secret, but I’ve found that getting outside the lab can make me feel so much more productive—and happier! 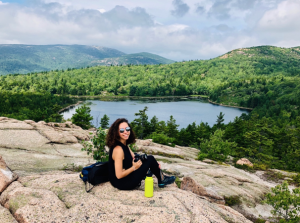 Here are some of the great spots I’ve found to play and be active in and around Boston! One of the easiest ways to be active on campus is to sign up for the mini courses offered each semester. I love these 10-week classes that are taught by fantastic instructors and are reasonably priced. It’s so much more fun and motivating to work out in a group. It can also be really hard to find affordable group classes in Boston, so this is a lovely option to have right on campus! In college I played a lot of sports, including in intramural leagues. When I arrived in Boston I was delighted to find that there are a ton of adult sports leagues in and around the city. Most exciting to me was that there was an inner tube water polo league! I had played this crazy sport in college so I was stoked to find out that there was an adult league—I never realized that it even existed outside of Pomona College. 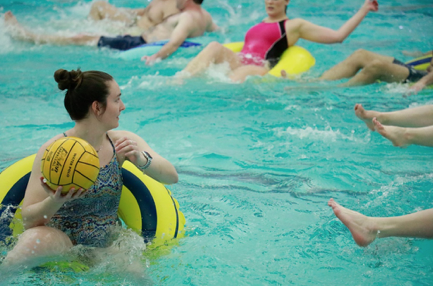 Here’s how it works—basically, you just sit in an inner tube and play water polo in a pool (see photo evidence). 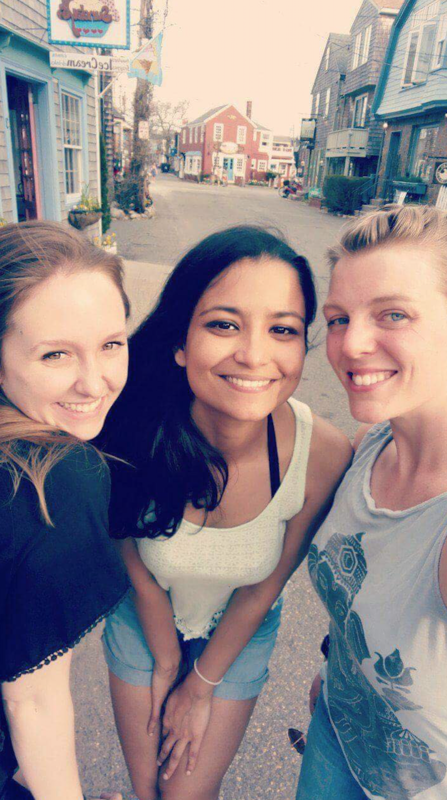 It’s loads of fun and I’ve met some incredibly awesome people through this experience. Beyond ITWP, Social Boston Sports, Boston Ski and Sports Club, and Clubwaka all offer a ton of other adult sports options. These are fantastic opportunities to meet other young people around the Boston area and be active while doing it! If you lived in Boston and didn’t run along the Charles, did you really live in Boston? Even though I was an athlete in college, I never really enjoyed the whole running side of the sport. I’ve slowly come around to running during my time in Boston, however, and right now I’m training for my first half marathon! Boston is an incredible city to train in and there are such amazing and enjoyable routes. My favorite place to run right near campus is around the Mystic Lakes, but you can’t beat the Charles River. It’s only a few extra miles to get to the river and totally worth the view and running paths that are a bit kinder on your ankles than the sidewalks of Somerville. Lastly, there are some great spots to hike right around Tufts. The Middlesex Fells are just a short ride from campus and you can find a bunch of great trails that are perfect for a short hike. You can travel a bit farther from Medford into New Hampshire, Vermont, and Maine for some more difficult hikes. 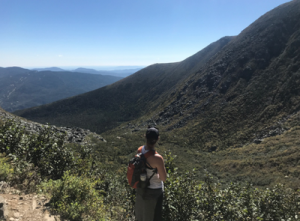 Some of my favorites are in the White Mountains—I recently did Mount Washington with a bunch of friends. The greater New England area is beautiful, particularly during the fall—be sure to get out and enjoy! This entry was posted in Around Tufts, Athletics and Fitness, Clubs and Community, Student Life, Summer, Tips and Tricks, Why Tufts? 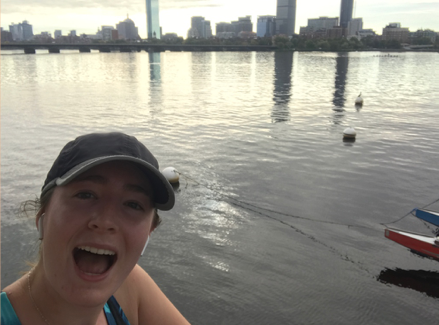 and tagged athletics, Charles River, Graduate School, Graduate School of Arts and Sciences, Hiking, inner tube water polo, intramural league, mountains, outdoors, running, School of Engineering, SMFA, Sports, swimming, yoga on November 28, 2018 by Courtney Cyr. I made a vital journey over 12,239 kms (or should I say 7,605 miles) to get to where I am today. 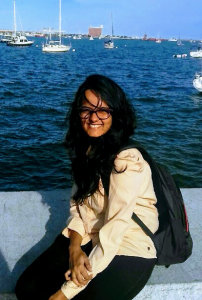 I moved to Boston on the 24th of August 2018, leaving everything that was close to my heart back in Mumbai, India. I knew I wanted to pursue a graduate degree in Biomedical Engineering ever since I was in college. But no matter how far ahead you plan your life, when it comes to crossing the bridge, there is always going to be a tingling sensation in the body. 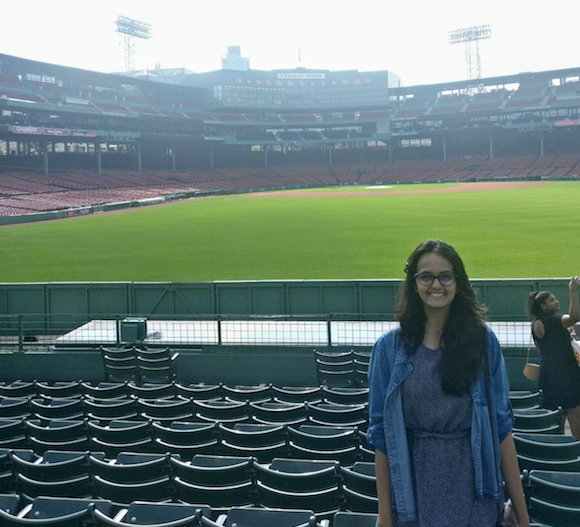 Now that it has been over a year in Boston, I wanted to chronicle my experience in this foreign land from my perspective. From changing the way I read temperature, write down dates, and measure distances, almost every subtle change made me feel uncomfortable in the first few weeks. New faces, new relationships, new friends, and new challenges are few of the facets of life at grad school. 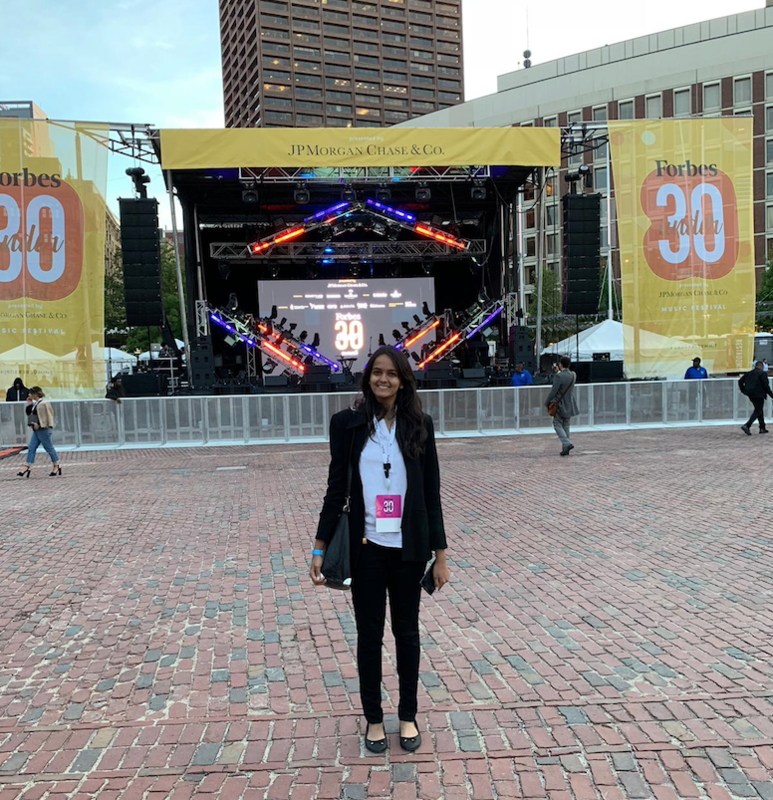 More often than not, if you are an international student, people will ask you ‘Why did you choose Tufts?’ To be honest, I chose Tufts because my program curriculum matched my interests, and being in Boston as a biomedical engineer felt like the best decision in terms of my career. I was more excited than nervous coming here because I felt like I was doing something monumental with my life. I am sure each one of you incoming and current grad students feel the same way! But my transition was not easy. Small events like buying groceries, doing laundry, paying bills, cleaning the house, and cooking for myself made me miss my family back home and I ended up realizing their value and how little I had appreciated the things I was provided with at home. But sooner or later, I had to reconcile with the fact that I was a responsible and independent woman who chose to move to the US. As an international student, there were moments when I did crave the company of fellow Indians, or good Indian food. These normal feelings will happen to you as well, but do not let that stop you from learning about other cultures and exploring other cuisines. I wanted to make the best of my time over here, and I ended up signing for all the professional development workshops, seminars and talks that I could. One issue I faced was that I hesitated to ask for help because I was afraid of bothering people. Do not make the same mistake that I did! All of the organizations at Tufts are super helpful and if they are unable to help you, they will direct you to the right person. Winter was challenging, but I survived, and so will you if this is your first Boston winter. Above all, over the last year I learned to appreciate myself, my people, and the little things around me so much more. I will leave you with a few things if you are heading to Tufts for grad school. Talk, connect, and socialize whilst taking care of your priorities. Explore and travel as much as you can. Be excited about crafting your own path and journey. But most importantly, take care of yourself! I still have a year to go before graduation and with every passing day I know I am going to miss this beautiful place even more. This entry was posted in Around Tufts, Clubs and Community, Diversity, Engineering, Professional Development, Student Life, Tips and Tricks, Why Tufts? and tagged biomedical, Boston, exploration, Graduate School of Arts and Sciences, independent, India, International, Professional Development, School of Engineering, SMFA, social, transition, Tufts, winter on November 21, 2018 by Courtney Cyr. Ask any Tufts student what their go to means of getting around is and their reply will almost certainly be: “why the T, of course”! 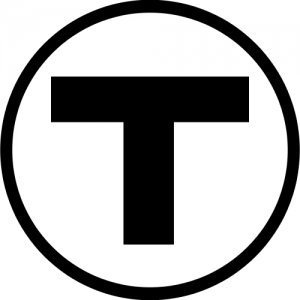 The Massachusetts Bay Transportation Authority (MBTA) is the agency responsible for providing public transportation services for the Boston area, including the subway (affectionately known as the T) as well as bus, commuter rail, and ferry systems. Though hanging out on campus is great, you’ll quickly want to get out and explore all that Boston has to offer and the T is one of the best ways to do it. As someone who uses public transportation on almost a daily basis for commuting to work, running errands, and generally having fun, I can attest to the fact that, despite the occasional delay, there is no better way to get around than on the T. Here are a few tips and tricks that I’ve learned about ways to make the most out of public transit in Boston. Opened in 1897, Boston’s subway system was the first of its kind in the United States. 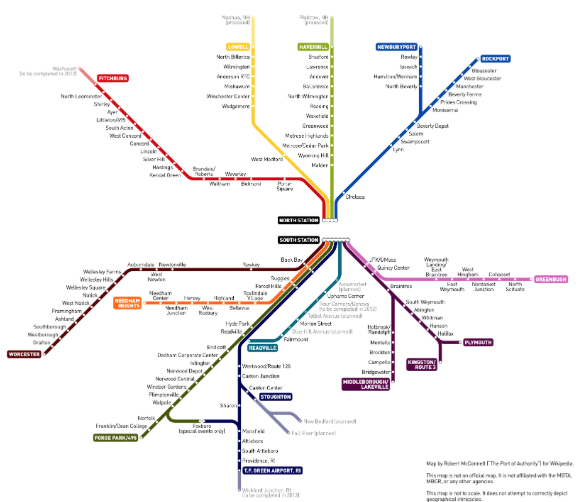 Today, the system consists of five lines (red, orange, blue, green, and silver) that run through downtown and out to the many surrounding suburbs. The line that many Tufts students are familiar with is the Red Line, which stops at Davis Square and is just a short walk from the Medford/Somerville campus. A ride on the Red Line can take you to some of Boston’s most notable universities, including Harvard, MIT, and the University of Massachusetts at Boston, as well as the Boston Common, the JFK Presidential Library and Museum, and the birthplaces of the second and sixth presidents of the United States: John and John Quincy Adams. The Orange Line is also a key travel route for many Tufts students as it makes stops right at Tufts Medical Center in downtown Boston. Aside of commuting to classes and work, you can also hop on the Orange Line to see the site of one of the first battles of the American Revolution at Bunker Hill, watch a Bruins or Celtics game at TD Garden, or grab a bite to eat in Chinatown. An easy transfer from both the Red and Orange Lines, the Green Line runs through several Boston neighborhoods and is the perfect way to visit the Museum of Fine Arts, catch a ball game at Fenway Park, do some shopping at the Copley Place Mall, or get some studying done at the Boston Public Library, the second largest library in the United States! Though slightly shorter routes, the Blue Line allows for an easy escape to the beaches of East Boston while both the Blue and Silver Lines provide easy access to and from Boston’s Logan International Airport. In addition to running the subway, the MBTA is also responsible for running buses, commuter rail trains, and even ferry boats in the Boston area. The Medford/Somerville and Boston campuses are directly serviced by eight bus routes, and within walking distance of many more, that are great for making a quick run for groceries or taking a convenient “above ground” journey to the hundreds of tasty restaurants, nifty shops, and cool historic sites in the area that just aren’t served by the extensive subway system. The commuter rail is similarly useful for making trips from Boston to places a little further afield than those served by the subway, including Tufts’ Grafton Campus on the Framingham/Worcester Line. The commuter rail is also useful for making a day trip to see historic Plymouth Rock, take a stroll around Providence, Rhode Island, and explore the bewitching city of Salem. Of course, you can’t forget about the ferry system with boats leaving from Long Wharf in downtown Boston that can provide you with an alternative route to visit the USS Constitution, take a hike on beautiful Georges Island in Boston Harbor, and yes, even get to Logan Airport! The number one necessity for taking a ride on the T is a ticket. Passes can be purchased for single-rides and short periods of time at all subway stations and multiple convenience stores near the Tufts campuses. 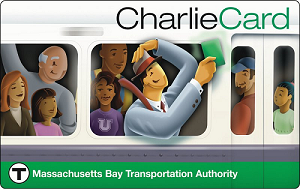 However, many Tufts students opt to use a reloadable “Charlie Card” that can be topped up with funds as needed for bus and subway rides. Tufts also offers discounted semester passes to students for the bus and subway, commuter rail, and ferry. Once you have your ticket, just pull up directions for the place you want to visit and away you go to explore the city! If you ever have questions or in need of directions, don’t worry! You’ll quickly find that many of your fellow “Bostonians” are willing to lend a hand and point you in the right direction. Happy travels! This entry was posted in Around Tufts, Clubs and Community, Student Life, Tips and Tricks and tagged Boston, bus, Charlie Card, explore, ferry, Graduate School, Graduate School of Arts and Sciences, public transit, School of Engineering, SMFA, subway, The T, train, transportation, travel on November 7, 2018 by Courtney Cyr.